We’ve just increased our rates for the VGreen Money Market account (MMA), so open an account today and start earning more while supporting clean energy. With the VGreen MMA, 100% of the money you deposit goes directly to funding renewable and energy efficiency projects and purchases for our members. Not only will you get a great rate and earn more on your savings, but you’ll know that your dollars are helping create a healthier environment. Not a member? You’ll be prompted to join when you open your account. With newly increased rates, this account offers a higher return than ever before so you can save more while supporting a healthier planet. You can make six transactions per month via check or electronic services and make unlimited transactions at a VSECU branch. Every dollar that you save in the VGreen Money Market account is a direct investment in the future of clean energy in Vermont. Rates/APYs listed for VGreen money market accounts also apply to any VGreen money market accounts regardless of type (i.e., fiduciary, rep payee, trust, POA, etc.). Rates and yields effective as of 3/1/2019 and may change after account opening. Fees could reduce earnings. You can complete this online application to open a credit union savings, checking, money market or certificate of deposit account. 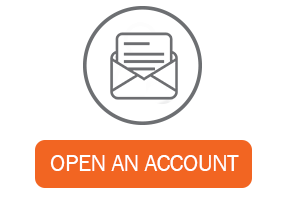 You will have the option to fund the account via ACH debit or credit, and if you are an existing member you may do an ACH debit or credit or transfer from an existing account. If you are already a member and want to apply for a product online, it’s easier to apply once you’ve logged into our Online Banking system. That way we can save you time by pre-filling the application with the general information we already have on file for you. If you’re not already a member, it takes moments to join. The application will guide you through the process.